We are proud to offer a friendly, efficient and personal removals service in Southampton, Portsmouth and beyond. Thank you for making a very difficult move as easy as you could and for being both sympathetic and cheerful. You could not have been more efficient, careful or helpful. Thank you. Used Mark and his team to move from Winchester to Eton. Mark and his team were efficient and thoroughly professional throughout. They arrived on time, were polite and all through the move process couldn’t do enough to help make the move as painless as possible! We were lucky enough to choose this company for our house move yesterday 18th Oct 2016. I thoroughly recommend them to anyone. Mark dealt with every query immediately, whether FB message or text…..and I nervously had several queries never having used a removals firm before, yet he was friendly, courteous and reassuring each and every time. The team turned up on time, looking very smart and clean. They were extremely friendly and very efficient, worked at a very good pace without wasting any time, and made our house move as easy as they humanly could. If I ever move again I will go straight to this company with no hesitation. First class throughout. Many many thanks. The service from Mark and his team on the two occasions we have used his company was highly professional. They arrived on time, moved (and help pack) the items with speed and efficiency and were polite and courteous throughout. I would have no qualms in recommending their services and will use them again with any future moves I need to undertake. Many thanks in making the moves stress free. Great service. On time. Short notice job. Very friendly and extremely professional. Fast work and no dawdling like some, got straight on with the job and also had good humour not cold like a lot of these services. Went out there way for an extra bit of work that was not in the original schedule. Nothing was too much. Cant recommended enough. May move again just to use these guys. Thank for a great job again guys. From our very first email enquiry, Mark was polite, friendly and prompt. He was extremely professional and we had confidence in him from the start. His quote was brilliant value. On the day, he and his colleague were calm and organised. Got the job done and got us into our new home. Would thoroughly recommend; and would definitely use him again. These guys are awesome. They came at the drop of hat in our hour of need. My husband and I cannot recommend highly enough this company. They are no like any other removal companies that we used before, in fact they have completely changed our view for removal company. They enjoy their jobs and care their customers, and made our move from Southampton to Basingstoke a very pleasant journey! We are so lucky that we have found them! We can’t say how much effort they had put to protect our furniture, they fastened drawers with special films and then wrapped the whole piece with heavy blanket and then tied them up in the lorry. We can’t say how carefully they had treated our furniture! Another thing that moved us was that they had even gone extra miles to dismantle a dining table and then install it free of charge in order to move everything in one go to save the cost! They are absolutely wonderful team! They will be the best removal company in the area if not already! Faultless service by Mark and John. Friendly, efficient, hassle free removal and even got a ride to train station on my way back to the property. Many thanks for everything. I would fully recommend this company for great business. This company is brilliant, ABSOLUTELY BRILLIANT! !With a move date of 25th January, I was praying for someone to help – that prayer was answered in the form of Mark & John, who were able to fit me in & save the day.Communication – Excellent, Time keeping – Excellent, Care in removals &, delivery – Excellent, Cost – Excellent.Professional in every way, polite, courteous & thoughtful.This business deserves to grow & grow.Not given to submitting reviews normally, but Mark & John were absolutely fantastic & I can’t thank them enough for all they did on the day. 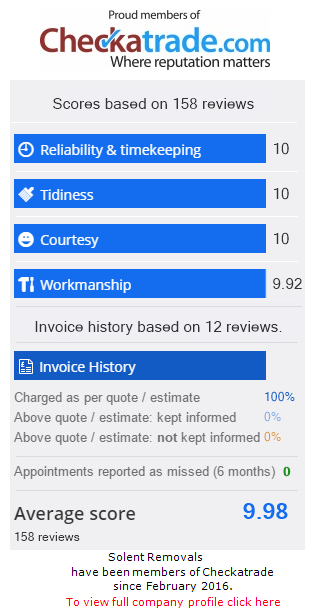 Echoing the other reviews, it seems that these guys deliver amazing service every time.The service was faultless from beginning to end. Booking the collection and arranging delivery was so easy. On the day the service was fantastic; two polite well presented gentleman, delivered the bed and not only did they deliver it they erected it for me too – I had not expected that!I would not hesitate in recommending Mark and his team and would not contemplate looking anywhere else should I need removal services again.Always a pleasure to find a great local company.Thank you so much. I cannot recommend this removal company highly enough! From the word go they were polite, efficient and courteous, and continued to be so through the whole process. They drove all the way to Yorkshire, packed the house, put it in the van and drove back down to the South coast to put it in a storage unit. Nothing was too much trouble and they made what could have been a difficult situation go smoothly and without a hitch. Their communication was faultless and gratefully recieved at this end! Many thanks to Mark and his team. Truly grateful for the superb removals from Mark and John at the end of November. Very professional, on time, great personalities and nothing was too much trouble. This was such a stress-free move thanks to Solent Removals. I would strongly recommend them as a removals company to anyone. Thanks you so much guys, your hard work was so very much appreciated. Regards, Lindsey, John and of course the dogs! Thank you Mark and John. Don’t know how you managed it ! These very strong men moved two very heavy antique Siebe Gorman diving pumps, a large marble Buddha and various pieces of furniture. Nothing was too much trouble for them. It was a long day as we partially moved to Torbay Devon. We would recommend them every time. Thank you both again. Mr And Mrs SemmensSuper Human Removal Men. Outstanding service from Mark and Anthony. They accommodated us at a difficult time with last minute requests and were efficient, courteous and friendly with packing up boxes and furniture to put into storage. As we’d never been in this position before we can’t stress how brilliant they were. And finally to cap it all they put all the furniture and boxes into the unit while we were dealing with the paperwork. Highly recommended. Great job guys and thanks. I would thoroughly recommend this company. Mark and Anthony were charming and treated me and my belongings with respect when they put them into storage. They are extremely good at packing as well as moving. Having moved numerous times before, I can say, this time, was the least stressful (almost enjoyable) and I will definitely use them to move my belongings into my new house. 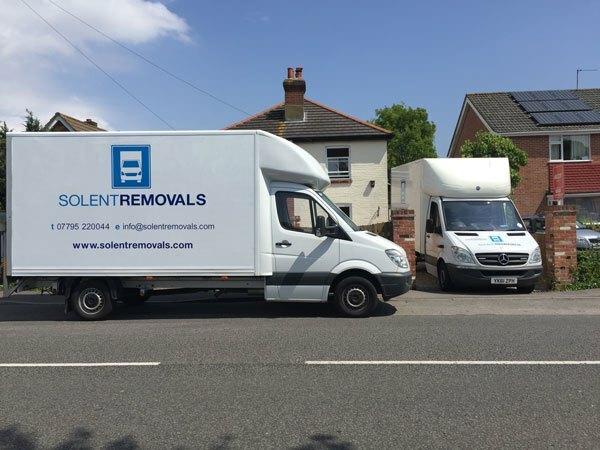 We have just moved house and used the services of Solent Removals, they were amazing! Nothing was too much trouble, everything arrived safely and in one piece. Mark and his lovely team were very professional, polite and helpful. We would highly recommend this company. Both the boys today were AMAZING. Both efficient and careful with all the heavy, awkward household goods from our family home to a storage centre, which can only be described as a maze! Friendly, professional and we will definitely be using them again! Thanks, guys! Alice & KarenSuper Service. Super Stars! Take a look at our timeplase testimonial to see for yourself how we work. Or click the button below to receive a friendly no obligation quotation.